LOUISVILLE — Martin Luther King Jr. did not have to go to Birmingham. He had options, Rev. Dr. Kevin W. Cosby recalled Wednesday morning during the annual Presbyterian Center Service of Commemoration for the life of Rev. Dr. Martin Luther King Jr. Well on his way to becoming the youngest Nobel Prize winner in history, to that point, King seemed poised for the pulpit at his home church in Atlanta, or maybe the presidency of Morehouse College. And that is where he wrote the iconic Letter from Birmingham Jail, which formed the basis for Wednesday’s worship service at the third floor chapel with the Ohio River serving as a backdrop. The letter was excerpted in the Call to Worship, Confession and other readings and responsive readings during the service. 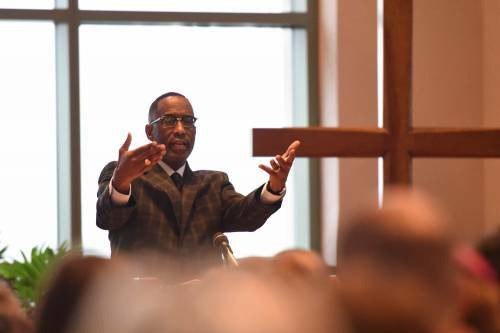 Cosby is the senior pastor of St. Stephen Church in Louisville, a congregation of 14,000, making it one of the 100 largest churches in the United States. 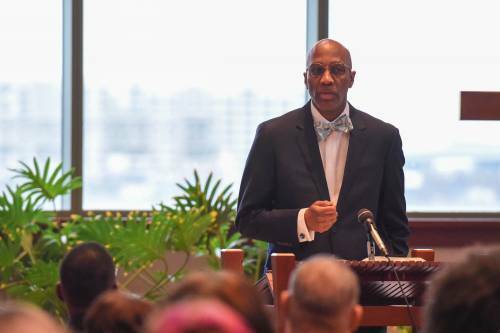 He is also the president of Simmons College of Kentucky, registered as one of the United States’ Historically Black Colleges & Universities, which he helped revive, starting in the late 1990s. The central message of sermon was sit where struggling and oppressed people sit or use your imagination to empathize with their struggles. 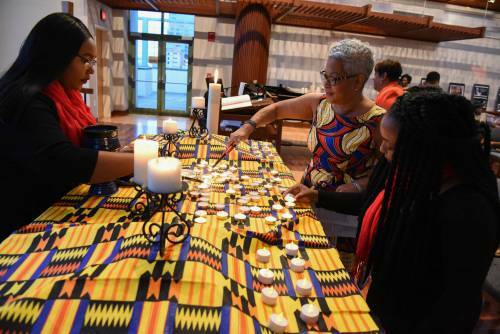 See video of the 2019 Presbyterian Center Service of Commemoration for the life of Rev. Dr. Martin Luther King Jr.
“You can always tell when someone had captured the spirit of Jesus Christ, because when you have truly captured the spirit of Jesus Christ, you are infused with a spirit of empathy,” Cosby said. He went to on to ask the same question about women and the LGBTQ community, and pointed out that the parable of the Good Samaritan was not about, “the misdeeds of the thieves … but the missed deeds of the priest and the Levite,” who passed by the man who had been robbed and battered. The Samaritan, he said, could imagine himself in the man’s place, because he had been beaten up and ignored too.